Other than San Diego Comic Con, this is the only other convention i have attended that attracts tens of thousands of attendees and uses such a vast exhibitor space. The October 2013 was the first convention by the MCM group to make use of all the space that Excel provides. 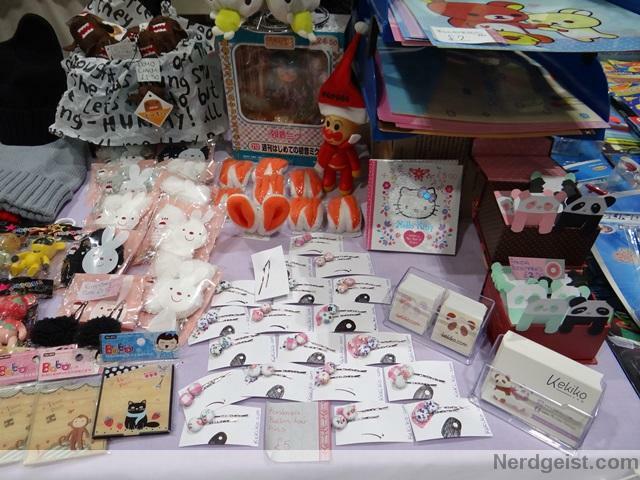 I spent 5 hours on the first day on the exhibition hall, looking and purchasing from the stalls. At SDCC 2012 preview night i left early to try and get into the Dredd screening, i learnt my lesson that day when lots of fans who waited for hours didn’t get into the special advanced screening. I was determined to make the most of preview nights from that day onwards. Preview night or the first day at any convention is the best time to visit stalls and talk to the exhibitors as it’s never as busy as the following days. Since i didn’t have to worry about panels until the next day i was able to take my time at each stall, take photos of all the great cosplayers and network. I met some interesting people that weekend and revisited some of my favourite stalls. I decided to interview some of them so they can share their experience of being an exhibitor at a Comic Con convention. 1. 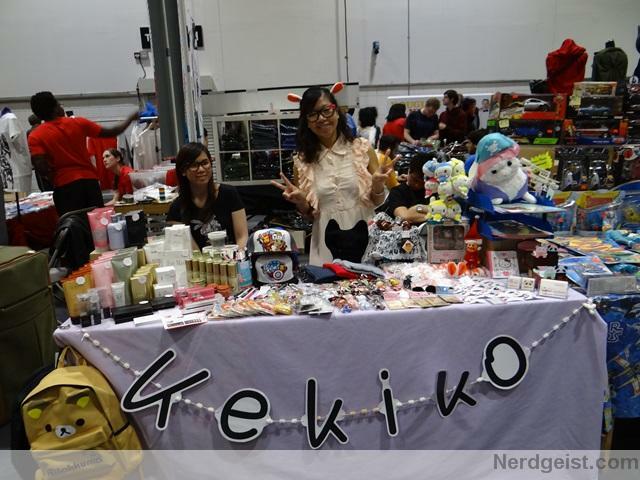 You were one of the exhibitors at MCM Expo London Comic Con. Can you tell us a little bit about yourself? I’m a panda lover, gamer, anime enthusiast and a sucker for anything cute! The first MCM Expo I ever went to was in 2006 and I’ve been going ever since so it’s unbelievably exciting to now be exhibiting here! I’m originally from the countryside and I moved to London to pursue my career – I studied design all the way through to university and I now work in graphic and web design. I love designing and making my own creations, which is why I decided to introduce my handmade items at the Expo, and I’m incredibly humbled that they have been received so well. 2. Can you tell us about your experience of launching your new store full of your own handmade products at the expo? The experience has been stressful yet rewarding. There was a lot of planning involved in terms of sourcing the best materials and finding the time to produce all of my products around my full-time job. Hearing customers say how much they liked my cute items made it all worthwhile though! People especially loved my adorable pandas (Keki and Kiko) so expect to see more of them soon! 3. What’s been your most popular purchase? The bunny beanie hat, without a doubt! Everyone who tried it on, bought one. People thought they were cute and loved the choice of colours available so I’m stocking up on them in time for my Kekiko online shop launch this winter. 4. What’s been the best or craziest cosplay that’s visited your stall? I met a girl dressed as a naked Sim, fully equipped with her little green gem and pixelated body. Apparently she just got out of the shower and didn’t know where her clothes went…must have been a glitch! I also saw a group of friends all dressed up as characters from Adventure Time – I think it’s wonderful to find friends, who not only share the same interests, but also have fun dressing up together too. 5. Have you got a favourite exhibitor that also attended the expo? Pixie Bunny! I’ve been following her for a while now as I absolutely love her handmade items – they’re so cute! I finally got to meet her in person at this Expo and she is wonderful – a very friendly and talented girl. I also like ArtBox who stock so many panda items that I can’t resist taking home with me…if only my purse would allow me to buy them all! 6. What’s your favourite part of the expo? All of the cosplayers! They were all so lovely and kudos to each one of them for taking the time to create such impressive outfits. If I had the time and knew how to sew, I’d love to cosplay myself! 7. What other handmade items do you plan to make and sell in the future? I have lots of new jewellery and accessories designs to add to the Kekiko range. I would also like design t-shirts in the near future too. 8. Will you be attending the MCM Expo in Belfast & Dublin? I’d love to! I’ve never visited Ireland before so it would be a real adventure.